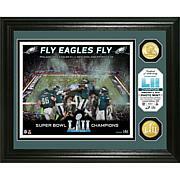 Celebrate the 2017 NFC champions with this attractive triple-matted wood frame and photo from The Highland Mint. 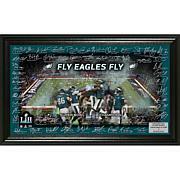 It features a custom and individually numbered 8" x 10" photo of the key players from the team along with their signatures. 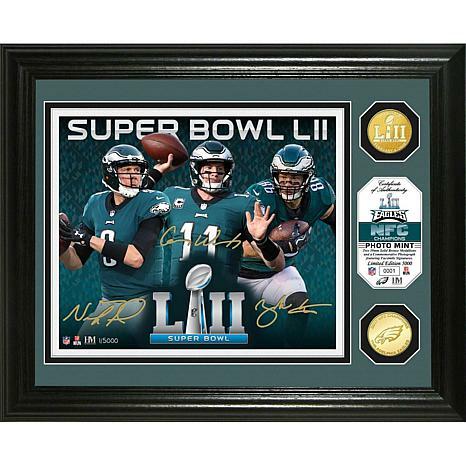 The handsome frame is highlighted with a minted 39mm bronze Super Bowl LII commemorative coin and a 49mm bronze 2017 NFC Champions commemorative coin. 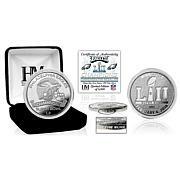 A sure touchdown for any fan's desk, office, man cave or game room. 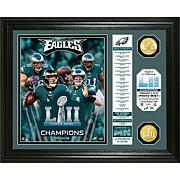 Gave as a gift to a die hard eagles fan n he loved it.